In the northern Gaza Strip and adjoining areas of Israel, attacks by Palestinian armed groups launching locally made rockets known as Qassams and attacks by the Israel Defense Forces (IDF) firing 155mm artillery shells have together killed dozens of civilians, wounded hundreds, and greatly disrupted civilian life. After Israels withdrawal from Gaza in September 2005, Palestinian rocket attacks continued sporadically, spiking in late September, late October and again in December, with Israeli artillery fire following suit beginning in late October. 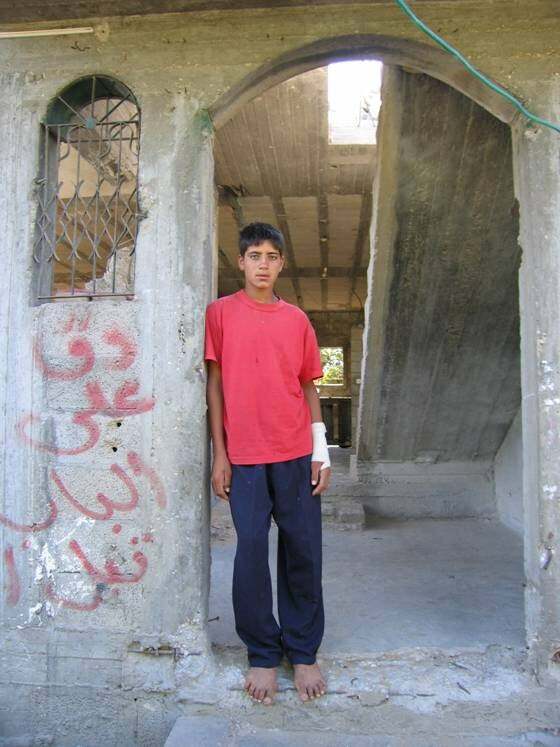 Initially civilian casualties on both sides were light, but the casualties rose dramatically starting in April 2006, when Israel sharply increased its artillery attacks on alleged Palestinian rocket launch sites and also fired closer to residential areas. Both sides have shown disregard for civilian loss of life in violation of international humanitarian law (IHL): Palestinian armed groups have directed their rockets at Israeli towns; Israeli artillery shelling near populated areas has caused considerable civilian casualties for uncertain military gain as well as at least one serious incident of indiscriminate shelling. There is an opportunity today to put an end to this needless loss of civilian life: in November 2006, after an artillery attack that killed 23 civilians, the IDF placed a moratorium on use of artillery to respond to rocket attacks in Gaza, and a five-month ceasefire on the part of Hamas the same month led to a decrease in Palestinian rocket attacks in 2007, meaning that for a time rocket attacks were largely limited to the Islamic Jihad organization. Hamas ended its ceasefire on April 24, 2007, firing rockets once again into Israeli territory.1 Israel has not resumed its use of artillery, responding instead with more precise air-fired missiles to hit targets, but it is unclear how firm this change of practice is. The conduct of Palestinian armed groups and the IDF that led to the spike in civilian casualties in mid-2006 is likely to resume unless the parties learn the lessons of 2006 and definitively change military policies and practices in accordance with their independent obligations under international humanitarian law. This report is based on on-the-ground assessments of Palestinian armed group rocket attacks and IDF artillery attacks, focusing on the period from the beginning of September 2005 through May 2007. It sets forth recommendations aimed at ending practices that have led to unnecessary civilian death and injury. This report does not address other important issues affecting civilians in Gaza, including deteriorating humanitarian conditions, internecine fighting between Palestinian factions, Israels destruction of Gazas sole electrical power plant, and IDF and armed group clashes that have claimed civilian casualties separate from the rocket/artillery attacks. From September 2005 through May 2007, Palestinian armed groups fired almost 2,700 rockets into Israel, killing 4 Israeli civilians, and injuring 75 civilians and at least 9 soldiers, according to the United Nations Office for the Coordination of Humanitarian Affairs (UNOCHA) (see Appendices III-V for casualty and weapons numbers). Two of those deaths occurred in the last two weeks of May 2007. An additional six civilians died in rocket attacks from mid-2004 through August 2005. Palestinian rockets have also killed at least two and injured at least 21 Palestinian civilians when they landed short of the Israeli border. The rockets, made in Gaza and generically known as Qassams after the name of the armed wing of Hamas, the Islamic Resistance Movement, are highly inaccurate and cannot be directed at a specific target. The Palestinian rocket attacks violate international humanitarian law, also known as the laws of war, which governs the conduct of the parties during armed conflict. Where an attack on a military target is intended and that target is in or near a civilian area, the Palestinian rocket attacks are indiscriminate because they cannot distinguish between military targets and civilians. Where there is no intended military target and the rockets are launched into a civilian area, they constitute deliberate attacks against civilians. Given that the rocket attacks have inflicted very little damage on Israeli military assets, their primary purpose seems to be to kill civilians or at least to spread terror among the Israeli civilian population, both of which IHL prohibits. Palestinian armed groups also at times endanger civilians by placing their rocket launchers near residential areas in Gaza. The IDF claims that over the course of 2006 Palestinian armed groups moved their launchers increasingly close to residential areas, presumably because return IDF artillery fire had made open fields a less attractive military option. Human Rights Watchs interviews provide evidence that in at least one locale Palestinian groups fired or tried to launch rockets from within 100 meters of populated apartment buildings. While Gaza is densely populated, and open areas are relatively scarce, combatants still have an obligation to take all feasible precautions to protect civilians and this includes avoiding placing launchers within or firing from close proximity to populated areas. From September 2005 through May 2007, the same period covered by the rocket attack statistics cited above, the IDF fired 14,617 artillery shells into Gaza. This fire killed at least 59 people, wounded another 270 people, and did significant damage to many civilian structures.6 Of the 38 Palestinians killed through September 2006, 17 were children under the age of 16, 12 were women, and one was a 60-year-old man; Human Rights Watch, in its field investigations, identified 5 of the remaining 8 men as civilians.7 A subsequent artillery attack on November 8 killed or mortally wounded 23 and injured at least 40 Palestinians, all civilians. As discussed below, this last incident led to an Israeli moratorium on further use of artillery in Gaza, which continued as this report went to press in mid-June 2007. Most of the artillery shells that the IDF fired into Gaza in this period landed in open areas, and the great majority did not result in civilian casualties. Many, however, were fired close to civilian areas, and some landed directly on homes and other civilian structures, causing serious harm and loss of life. Human Rights Watch has been unable to find any report or claim that those killed or injured by artillery fire included persons believed to be combatants, and the IDF has not responded to a Human Rights Watch request about whether any Palestinians killed or injured by artillery fire into the Gaza Strip were combatants or believed to be combatants.8 Israeli artillery strikes in 2006 also left many unexploded shells strewn on the ground that constitute a continuing hazard to lives and livelihoods. Israeli artillery strikes hitting Beit Hanoun and nearby Beit Lahiya caused considerable civilian casualties and damage to civilian structures. On April 10, 2006, for example, Sofia Gabin told her children to hide in a cement cupboard when she heard explosions nearby. I was afraid for them. It was the safest place, she said.9 A shell landed directly on the house, killing her 8-year-old daughter, Hadi, and injuring 10 others. A series of strikes earlier that week leveled several homes belonging to the Abu Shamas family and injured or killed at least three civilians. The frequent shelling has also had a devastating impact on the civilian life of the northern Gaza towns. Most of the civilian deaths and injuries occurred at a time when Israel claimed that it was targeting nearby rocket-launching activity. While Palestinians often claimed that Israels shelling had other objectives, we were not in a position to gather sufficient information to assess such claims, and for purposes of this report we accept Israels stated purpose. Nevertheless, as will be discussed below, all of the Palestinian civilian deaths and the great majority of injuries caused by Israeli artillery fire occurred following Israels exponential increase of artillery fire and reported authorizing of shelling within a proximity to civilian areas that is smaller than the casualty radius of the artillery. Moreover, Israel did not routinely investigate cases in which civilians died or were injured to learn from past cases of civilian casualties and to ensure that in the future all feasible precautions were taken to avoid them. The combination of increased shelling considerably closer to populated areas and failure to investigate suggest, at the very least, an indifference to the duty to take all feasible precautions to avoid civilian casualties and a failure to rigorously balance concrete military advantage against expected civilian harm, as required by the rule of proportionality. In assessing the legality of the IDFs artillery fire under international law, it is necessary to determine for each attack whether it was targeted at a specific military objective; whether the weapon used could be sufficiently targeted to differentiate between the military objective and civilians; and whether the anticipated civilian casualties were not disproportionate to the expected military gain from the attack. In addition, while Palestinian fighters firing rockets from sites close to Palestinian civilians can itself be a law-of-war violation and does not prohibit the IDF from returning fire, the IDF still must take all feasible steps to minimize civilian loss and refrain from attack if expected civilian casualties will be disproportionate to the concrete military gain. When investigating incidents, Human Rights Watch found that IDF shelling with 155mm howitzers often caused unnecessary loss of civilian life and property in violation of international humanitarian law. In one serious case, artillery was used indiscriminately, in a manner that could not properly discriminate between civilians and combatants. Other times, the evidence suggested that the attacks were disproportionate, causing expected civilian loss that was excessive compared to any anticipated military gain. The repeated use of such methods of attack, combined with the evident failure of the IDF adequately to investigate harm caused to civilians, demonstrated a failure to take all steps feasible to minimize civilian loss, in violation of IHL. Two changes in IDF artillery practices in April 2006, roughly corresponding with Hamass taking over the Palestinian Authority (PA) following its January victory in parliamentary elections, led to a significant jump in civilian casualties. This was evident in that all 59 Palestinian deaths and all but eight of the 270 injuries due to Israeli artillery fire into Gaza occurred after the change in IDF practices. First, the IDF greatly increased the number of artillery shells fired: a total of 446 rounds were fired in March 2006 while 4,522 rounds were fired in April 2006.10 Between May and November, when the IDF instituted a moratorium, the number of shells fired fluctuated between 113 (October) and 3,709 (July) per month, averaging more than 1,350 shells per month. The second change was an increase in artillery attacks in the immediate vicinity of civilian residences. There is evidence that this was a deliberate policy: an Israeli newspaper reported in April that the IDF had narrowed the safety zonethat is, the minimum distance it required between a potential target for its artillery and the nearest homes or populated areasfrom 300 meters to 100 meters, a report that the IDF refused to affirm or deny.11 This new policy undoubtedly added to the number of civilian casualties and damage to civilian property. There was no parallel increase in rocket fire in April 2006.
towards open spaces, and no deviation [in the intended trajectory of the shelling] was observed at the time, or [The IDF] is unfamiliar with any injury or any allegation of injury to Palestinian civilians.12 These responses suggested that the IDF had not investigated civilian loss of life associated with its attacks in or near heavily populated areas of Gaza. For Israel to ensure that its artillery attacks do not violate the IHL prohibitions against indiscriminate or disproportionate attacks, particularly in the face of continuing civilian casualties, it was essential for the IDF to assess accurately civilian harm arising from its use of artillery in order to adopt corrective measures. Human Rights Watch has no evidence that the IDF ever attempted such an assessment, at least not prior to the November 8 incident. During that period, this showed an indifference to the fate of Palestinian civilians, in violation of the IHL requirement that parties take all steps feasible to minimize harm to civilians. Following the IDF moratorium on the use of artillery in Gaza and the reported directive from Prime Minister Olmert, there have been no further reports of civilian casualties as a result of artillery fire. As of this writing (June 2007), this moratorium remained in effect. In late May 2007, an IDF spokesperson said that the IDF had fired artillery shells without explosives into Gaza for calibration purposes, adding that the army did not intend to use live artillery at this time.19 In June, in response to a Human Rights Watch inquiry, the IDF said that since November 2006 there was no use of artillery, and there has been no change of policy.20 When clashes resumed in May 2007, Israel relied almost entirely on more precise air-fired missiles to hit targets, including persons allegedly responsible for launching or attempting to launch rockets into Israel. Such more precise weapons are capable of causing avoidable civilian harm, depending on how they are deployed, but Israels halt in the use of artillery represents a positive step. Any future IDF deployment of artillery must refrain from firing at or near populated areas. The two detailed case studies in Appendices I and II of this reportthe fatal explosion on a Gaza beach on June 9, 2006, and the fatal shelling of the Nada Apartments complex during the week of July 24, 2006illustrate the dangers to civilians of the Palestinians launching of rockets from near populated areas, and the IDFs firing of artillery shells at or near such areas. Human Rights Watch gathered evidence on site and considered eyewitness accounts, shrapnel, shell craters, injuries, and timing in its analysis. We concluded the cause of the blast was an Israeli 155mm artillery shell, either a live shell the IDF fired that afternoon or an unexploded shell from an earlier IDF attack that exploded as a result of nearby shelling that day. The IDF denied any responsibility for the beach explosion, producing evidence that it claimed showed why its own artillery fire could not have hit that part of the beach at that point in time. Human Rights Watchs investigation found that the IDFs denial of responsibility is based on a highly selective consideration of the available evidence, ignoring evidence collected by Human Rights Watch and others that refuted its version of events. Human Rights Watch continues to urge an independent investigation into the fatal beach explosion of June 9, one that seeks and obtains the cooperation of all parties and whose findings are made public. The second case study looks at a series of IDF artillery strikes during the week of July 24, 2006. The IDF on at least six different occasions that week fired artillery shells that hit a large residential apartment complex in northern Gaza known as the Nada Apartments. The attacks killed four Palestinian civilians, including two children, and wounded 14. They also caused serious damage to some apartments and forced hundreds of families to flee. For weeks prior to the fatal strikes on the apartment complex, Palestinian armed groups had been firing rockets from a large open area to the north of the complex. Residents told Human Rights Watch that, on the evening of July 23, approximately 14 hours prior to the first IDF shelling of the apartments, an armed group attempted to launch rockets from the road that passes behind the complex. Responding subsequently to inquiries from Human Rights Watch, the IDF claimed that 15 rockets had been fired from the complex over the course of the month of July, and that earlier on the day of the attack Palestinians had fired six rockets from Gaza, some of them from the Officers residence [sic] and the surrounding area, which the IDF defined as within a radius of a kilometer and a half.24 But residents denied that any rockets were fired from the complex itself at any time. The Nada Apartments case illustrates how practices of both Palestinian armed groups and the IDF caused unnecessary civilian casualties. Palestinian armed groups have an obligation not to endanger civilians by firing from the immediate vicinity of apartment buildings when there are feasible alternatives, such as firing from open areas. The IDF must not engage in attacks that use weapons in an indiscriminate manner or cause disproportionate loss of civilian life, and it must take all feasible steps to minimize harm to civilians. In addition, both the PA and the IDF failed to act on warnings provided by the other party, as described in more detail in Appendix IIin the one case to warn and arrange for the evacuation of residents due to the imminent threat of IDF shelling, and in the other case to cease shelling when informed that civilians were being killed and wounded. It is incumbent on both sides to stop the practices that produce civilian deaths and suffering of the sort visited on the Nada Apartments in July 2006. A first step would be to undertake an independent and comprehensive investigation of the incidents. The parties should also ensure that specific mechanisms, such as effective communications between the Palestinian and Israeli officials, are in place and used to reduce the risks of civilian casualties, and that Israeli and PA officials act on such information when it is provided. This report is based on two field missions to Israels northwestern Negev region and to northern Gaza in June and July to August 2006, and follow-up research through early June 2007. The team that visited in June 2006 included researchers with substantial experience in military operations and international humanitarian law. Human Rights Watch conducted more than 110 on-site interviews with witnesses and victims of attacks, Palestinian doctors, Palestinian Authority officials, spokespersons of Palestinian political parties, representatives of the IDF and its legal branch, Sderot municipal officials, and international security experts. The teams also analyzed forensic evidence including shrapnel, craters, structural damage, and hospital records. In addition, Human Rights Watch addressed detailed questions to the IDF on several occasions. The IDF responses are reflected in the following chapters and reproduced as Appendix VI to this report. 1 See, for example, Isabel Kershner, Attack by Hamas Casts Doubt on Future of Cease-Fire in Gaza, New York Times, April 25, 2007. 2 Human Rights Watch interview with Eshel Margalit, Moshav Netiv Haasara, June 8, 2006. 3 See, for example, Islamic Jihad website, updated, https://www.sarayaalquds.org/bynt/bynt2006-0149 (accessed on November 19, 2006). 4 See International Committee of the Red Cross (ICRC), Customary International Humanitarian Law (Cambridge: Cambridge University Press, 2005), p. 513. 5 See Protocol Additional to the Geneva Conventions of 12 August 1949, and Relating to the Protection of Victims of International Armed Conflicts (Protocol I) of 8 June 1977, 1125 U.N.T.S. 3, entered into force December 7, 1978, art. 51(6) (Attacks against the civilian population or civilians by way of reprisals are prohibited.). 6 These totals are based on monthly data provided by the United Nations Office for the Coordination of Humanitarian Affairs (UNOCHA), which monitors humanitarian and security developments in the Occupied Palestinian Territories. Human Rights Watch includes in the total Palestinians killed the seven persons who perished in an explosion on a Gaza beach on June 9, a number that UNOCHA lists as disputed, and 33 injured in the same incident. (See Appendix I below.) It also includes four civilians who died later from injuries suffered in the November 8, 2006 artillery attack. UNOCHA does not indicate whether the numbers of Palestinians killed and wounded includes fighters as well as civilians. IDF press announcements of military actions do not include information on persons targeted or affected by artillery strikes. 7 Human Rights Watch did not have sufficient detailed information to conduct a similar analysis of the injured. Of the injured, Human Rights Watch investigated the incidents that accounted for 37 civilians; weekly reports of OCHA and the Palestine Centre for Human Rights accounted for 43 children under 16, women, and elderly. Human Rights Watch does not have information regarding 135 of the total reported injured by OCHA. 8 The IDF did not respond when Human Rights Watch asked, in its letter dated October 26, 2006, if any of the Palestinians killed or injured by artillery shelling were militants or persons engaged in hostile activities against Israel or the IDF. In that letter of October 26, Human Rights Watch noted that the IDF had been cited in Israeli media as saying, on September 19, 2006 that it had positive identities of over 220 gunmen killed in fighting, and can confirm their affiliation with terror organizations and asked if any of those 220 had been killed by artillery shelling. The IDF, in its letter of November 28, 2006, did not respond to this question. Facsimile of letter from the IDF Spokesmans office to Human Rights Watch, November 28, 2006, reproduced in an appendix to this report. 9 Human Rights Watch interview with Sofia Gabin, 37, Beit Lahiya, June 10, 2006. 10 The numbers here do not line up exactly with those in the appendices because the latter break down the statistics by week rather than month. 11 Yuval Yoaz, Amos Harel, and Michael Greenberg, IDF Accused of Knowingly Risking Palestinian Lives, Haaretz, April 17, 2005, http://www.haaretz.com/hasen/pages/ShArt.jhtml?itemNo=706309&contrassID=1&subContrassID=5 (accessed November 19, 2006). 12 Facsimile from the IDF Spokesmans office to Human Rights Watch, October 12, 2006. 13 Aluf Benn et al., IDF Troops Kill Palestinian in West Bank Arrest Operation, Haaretz, October 23, 2006, http://www.haaretz.com/hasen/spages/777592.html (accessed on November 19, 2006). 14 IDF Spokesperson, Inquiry Results Regarding the Incident in Beit Hanoun on November 8th 2006, November 9, 2006. 15 See Israel: IDF Probe No Substitute for Real Investigation, Human Rights Watch news release, November 10, 2006, http://hrw.org/english/docs/2006/11/10/isrlpa14550.htm; Olmert Blames Mistake for Beit Hanoun Deaths, Guardian, November 9, 2006, http://www.guardian.co.uk/print/0,,329623273-103552,00.html (accessed November 18, 2006). UNOCHA information obtained by Human Rights Watch, November 2006. 16 Amos Harel and Avi Issacharoff, Beit Hanun is the Palestinian Kfar Kana, Haaretz, November 9, 2006. 17 Aluf Benn, Security Cabinet Decides to Step Up Response to Qassam Fire, Haaretz, November 22, 2006, http://www.haaretz.com/hasen/spages/791471.html (accessed February 15, 2007). 18 Steve Erlanger, Israel Says It Will Retaliate against Rockets from Gaza, New York Times, December 28, 2006. 19 Isabel Kershner, Israeli Army Strikes Cell in Northern Gaza as Palestinian Factional Fighting Persists, New York Times, May 20, 2007. The next day the New York Times reported that an Israeli tank shell had wounded six children when it struck a house in Beit Lahiya. Isabel Kershner and Taghreed El_Khodary, 8 Killed as Israel Hits a Hamas Politicians Gaza Home, New York Times, May 21, 2007. According to the UNOCHA Situation Report Gaza dated May 21, 2007, the IDF fired 37 artillery shells in the previous days. See UNOCHA, OCHA Situation Report Gaza, May 21, 2007, http://www.ochaopt.org/documents/OCHA_Gaza_Situation_May21_amended2.pdf (accessed June 11, 2007). Previously, on March 28, 2007, Israel fired a ground-launched weapon at a group of Palestinian militants about to launch rockets into Israel. Israel argued, however, that this did violate its moratorium policy because it was a pinpoint action. Isabel Kershner, Israel Fires on Gaza Palestinians, Saying Rocket Attack Was Near, New York Times, March 29, 2007. 20 Facsimile from the IDF Spokesmans office to Human Rights Watch, June 17, 2007. 21 Human Rights Watch interview with Dr. Jum`a al-Saqqa, director of Public Affairs, Shifa Hospital, Gaza City, June 11, 2006. 22 Human Rights Watch interview with Dr. Nabil al-Shawa, Shifa Hospital, Gaza City, June 11, 2006. 23 Persons responsible for security for international humanitarian agencies operating in Gaza told Human Rights Watch that militants sometimes used one area 500 meters from the explosion site, and another about kilometer away from the site. Human Rights Watch interviews (names withheld), Gaza Strip, June 11 200 6, and subsequent e-mail exchanges. 24 Facsimile from the IDF Spokesmans office to Human Rights Watch, October 12, 2006.